Minors in football in Nigeria are part of a global system that is often exploited. In the last two decades, the global appetite for cheap, promising young talented players in football has surged. Consequently, this has led to an increase in the mobility of minors domestically and internationally in pursuit of a professional football career. A record number of 2323 minors were registered with clubs worldwide in 2015 and applications for the registration of young players made to the Fédération Internationale de Football Association (FIFA) reached a new record high of 2648 in 2016. This high mobility rate of minors within the football industry raises questions about player safety, welfare, and rights. Unfortunately, the risk of exposure of young players to emotional and physical harm, financial exploitation, and human trafficking football is also becoming more and more widespread due to lack of awareness. In Europe, regarded as one of the best places to play professionally, the opportunity to play football is fierce but due to stringent enforcement of EU legislation around minors and FIFA rules, we see fewer cases of abuse of minors. With some of the world’s brightest young soccer talents available in Africa, South America, and Asia, where arguably there is less enforcement and monitoring of minors, there has been a rise in Western clubs recruiting players from these regions. The European Clubs Association (ECA) Report on Youth Academies in Europe study highlighted that certain high profile premier league clubs preferred to recruit youth players from overseas citing the inflation of transfer fees in English football as the main reason. Minors arrive in their droves to the west from developing countries with hopes of being discovered and playing for a major European clubs, securing a lucrative player contract and earning far more than they would earn back home. In the quest of the European dream, these minors risk becoming victims of unscrupulous agents in the industry looking to profit at their expense. FIFA has developed a regulatory framework composed of a set of provisions within its Regulations on the Status and Transfer of Players (RSTP) that governs the international transfer of minors. Originally adopted and introduced in the RSTP in 2001, this framework went through a series of modifications in 2005, 2009, and finally in 2015 to expand its scope to improve the protections afforded to young players. The Court of Arbitration for Sport (CAS) has been an integral part of this regulatory regime for not only being a supreme arbitral authority resolving disputes related to the violations of the framework by football stakeholders but, more importantly, for also clarifying its practical operation through its jurisprudence by examining and interpreting its specific provisions. The Acuña case, the FC Midtjylland case, the Elmir Muhic case, and the Vada I and Vada II cases are amongst some of the important CAS decisions that have shaped the evolution of the regulatory framework for minors within football. 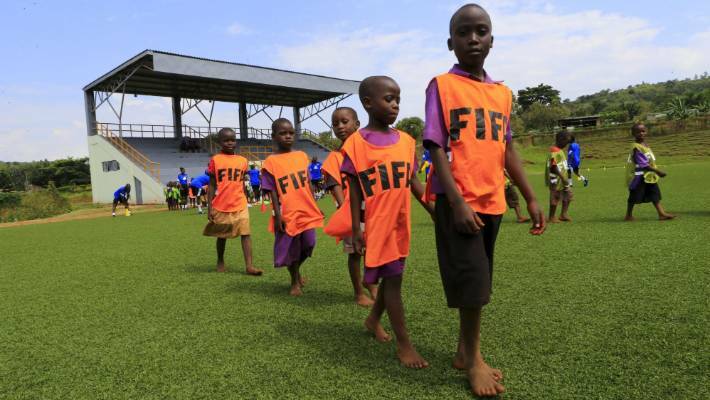 The regulatory regime for the protection of minors is administered and operated by FIFA at the international level in the exercise of its executive powers to develop and amend the rules. FIFA also enjoys a supervisory authority to ensure appropriate implementation of the framework by its member associations. 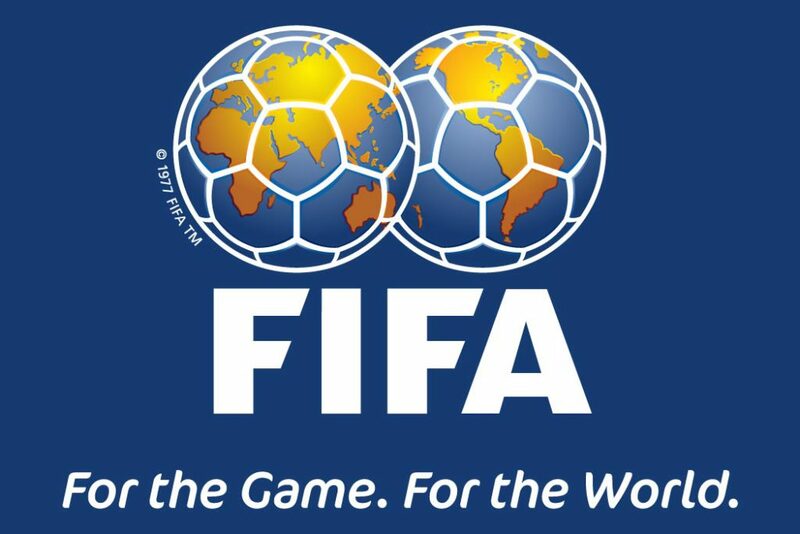 With the introduction of the TMS, FIFA Transfer Matching System GmbH, known as ‘FIFA TMS’, the subsidiary of FIFA that manages the TMS, is now delegated with a monitoring responsibility for the applications submitted by associations to the approval of the Sub-Committee for the transfer or the first registration of minors and the relevant ITC requests made through the system. The regulatory regime for the protection of minors is administered and operated by FIFA at the international level who exercises its executive powers to set out and amend the rules. Below are the relevant Subsidiary provisions of the RSTP. It is not uncommon in parts of South America, Central, and West-Africa, to find lower income families driven by the need for daily survival. In such families with a child that has a sporting talent, due to lack of legal advice, they often permit the child to leave home in hope of a better future which makes them vulnerable targets. It is unsurprising therefore that numerous cases of human rights abuse continue to crop up in football. In 2007, a fishing trawler washed up on a Tenerife beach loaded with 130 young African men, escaping Africa, of which 15 were assured that they would attend trials at Olympique Marseille and Real Madrid. Added to the mix was a group of agents focused almost exclusively on harvesting young boys for the international football market. This boat is just one of the thousands and not all of them are detected so you can easily understand the extreme difficulty faced by domestic jurisdictions not to mention the worlds governing football body FIFA to monitor and rein in these practices. The increasing number of minors seeking transfer internationally is undoubtedly linked to the wider socio-economic difficulties affecting the third world countries. Wars, famine, drought, corruption and the severe economic disparity between the developing and developed world are determinants that can contribute to the reasons for leaving home. National laws applicable to asylum, migration, and trade are also part of the equation. Veritable protection of minors will therefore undoubtedly require a broader approach than solely measures concerning the world of football. Yet, FIFA’s article 19 could potentially contribute to improving the fate of some minors in the developing world. The question is, does it in practice? In Nigeria, despite efforts made by the federal government to curtail illegal migration in the country, the rate of trafficking and abuse of young Nigerian footballers continues to rise. The absence of regulations governing the transfer of underage football players has fallen short of halting the trend. Findings revealed that illegal migration of these young Nigerian boys is mostly carried out by criminals who purport to be agents, they defraud desperate young footballers online. Most of them operate out of Nigeria and Ukraine. Reports and research have shown that out of the 15,000 young African players traveling to achieve their footballing dream each year, less than 1 percent of them realise this dream. Soccer data analysis also points out that there are approximately 604 players with Nigerian nationality who currently play worldwide in clubs outside, of which under 400 play in 47 European. Out of 65 players currently playing in the five major leagues – England, Italy, Spain, Germany, and France – only 17 play at the equivalent of the Premier League. Sadly, while a research conducted by Paris-based charity Foot Solidaire, in 2013 revealed that about 15,000 young boys travel to Europe and other countries from West Africa each year, it pointed out that some travel by air, mostly to Eastern Europe, using short-stay visas while others walk across the Sahara Desert to countries like Tunisia and Morocco taking dangerous boat journeys to various parts of Europe. Once in Europe, they are abandoned after parting with their family’s life savings. While those who are lucky enough make it to the trials but fail to get through are also abandoned by the agents as they no longer serve any economic purpose. Faced with the harsh realities, those left with no money are most times too ashamed to let their families back home know the truth. They overstay their visa and become destitute on the streets of Europe. The average age of these trafficked players is actually 16yrs. Legislation aimed specifically at protecting young people in sport includes The European Parliament resolution of 29 March 2007 on the future of professional football in Europe; and in 2001, The international governing body for football, Fédération Internationale de Football Association (FIFA), introduced the Regulations on the Status and Transfer of Players of FIFA (RSTP). 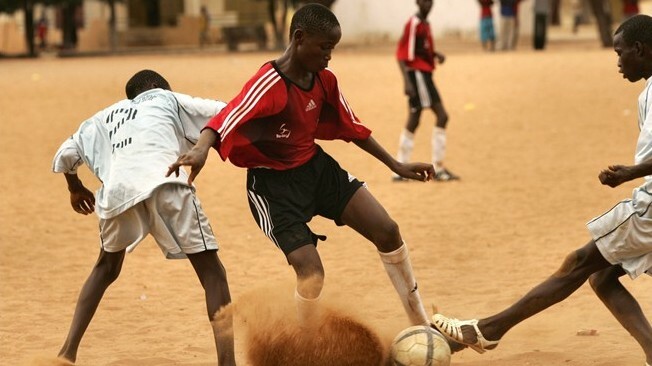 While RSTP, with some exemptions, prohibits the international transfer of minors under 18 years despite these regulations, some clubs still “recruit in Africa, some players at 14,” hence the need for FIFA and national football associations to do more to keep clubs informed about their regulations that protect minors. There are four important lessons to impart. National associations have oversight responsibility to ensure their members comply with the regulations of FIFA which also includes the provisions of the RSTP concerning the protection of minors. As a result, the regulatory violations by the clubs at a national level creates the basis for liability for a national association because of the national association’s status as a FIFA member and the corresponding legal duty that arises. For this reason, national associations must ensure that their members adhere to the regulatory framework under the RSTP. Otherwise, national associations cannot escape from liability. The regulatory framework under the RSTP is applicable to all minors. The confusion about the applicability of the framework to minors at the certain age category, now U-10s, is addressed in all three cases and now rectified by FIFA in its Circular no. 1468. The key distinction for the practical operation of the system is that national associations must verify the international transfer or the first registration of a minor even if the player is under the age of 10 years and neither ITC nor the approval of the Sub-Committee is required. For any player over the age of 10, an application for the approval of the Sub-Committee must be made through following the right procedure as prescribed under Art. 19.4 and Annexes 2 and 3 of the RSTP and one of the exceptions of Art. 19.2 of RSTP must be met. National associations are under the duty to ensure that minors are registered with them rather than any regional associations within their territories. For the purposes of the RSTP, an ‘association’ means national associations not regional associations. In addition, if clubs want to avoid liability under the framework, they must also ensure the registration of their minors with national associations. The registration of minors with national associations does not automatically satisfy the reporting and registration requirements of Art. 19bis of the RSTP. Clubs must register and report minors at their academies with their respective national associations to comply with the requirements of Art. 19bis as the rationale behind this obligation differs from the registration requirement under Art. 5. These findings of the CAS are important for the application of the framework at the national level. These important lessons must be closely observed and compiled by both clubs and national associations if they want to be in compliance with the RSTP and to offer greater protection for minors in football. Globally, Nigeria has become synonymous with unbridled football talent, however, to further protect their interests and the reputation of Nigeria, there is an urgent need for a domestic transfer matching system which will enable a greater detection of the transfer of minors worldwide. Taking a cue from the Netherlands who have adopted same domestic transfer matching system which allows the Dutch Football Association to process all domestic transfers with greater efficiency, giving the Dutch Football Association greater control over all stages of the transfer process. The Nigerian Football Federation could follow suit by having its own domestic database for transfer matching of minors in football in Nigeria as it benefits the country at large and more importantly caters for the movement of football players, particularly, minors and ensures that clubs who are interested In the services of a minor as a footballer will procure the minor legally and not illegally and it also gives room for proper monitoring of the transfer of minors in Nigeria. This database will be a platform which will include the names and full details of all agents involved in the international and national transfer of minors as well as the names and details of all minors who are footballers in Nigeria. Further to the domestication of the transfer matching system, there is a great need for public awareness of the rights of minors in football. Generally, every individual who is a footballer expects to have his or her rights protected. However, much more attention should be paid to minors as they are more vulnerable, inexperienced and can be easily manipulated. There is a need for the Nigerian Government, Nigeria Football Federation NGO’s, stakeholders in the football and the sports industry and the general public to actively take up a role in promoting the More active engagement in Secondary Schools, Football Academies, Educational institutions, campaigns and educational camps for this purpose should be promoted. Also, this should be inculcated in the syllabuses of Schools all over Nigeria. FIFA on its own sanctions any club who does not comply with the rules in the RSTP concerning transfer of minors and the Child Rights Act of Nigeria also governs the interest of minors in football in Nigeria as well as the International Convention of the Rights of the Child. However, it is recommended that more stringent and strict laws be put in place to control the movement of minors. Article 19 and the FIFA TMS are tools which FIFA use to maintain the protection of minors, however, the ability of FIFA to monitor the situation especially in less developed countries like Nigeria has proven difficult over the years. It is suggested that the Nigeria Football Federation (NFF) establish a monitoring department who will monitor all transfer activities involving minors as well as serve as a liaison between the NFF and FIFA with the sole aim of reporting all legal and illegal transfer activity of minors. The regulations governing the transfer of underage football players fall short of protecting minors as adequately as possible. Until there is greater synergy between the extant regulations in Nigeria, football clubs and agents will continue to engage in the illegal transfer of minors. A greater synergy will not only protect the minors but will bring Nigeria more in line with internationally acceptable standards. Written By: Beverley Agbakoba-Onyejianya & Olayinka Suara.